In the business of photo imaging, strong sales were seen in Europe and United States for instant photo systems such as the instax series and instax films. The Wall Decor and other value-added printing businesses also enjoyed solid sales. 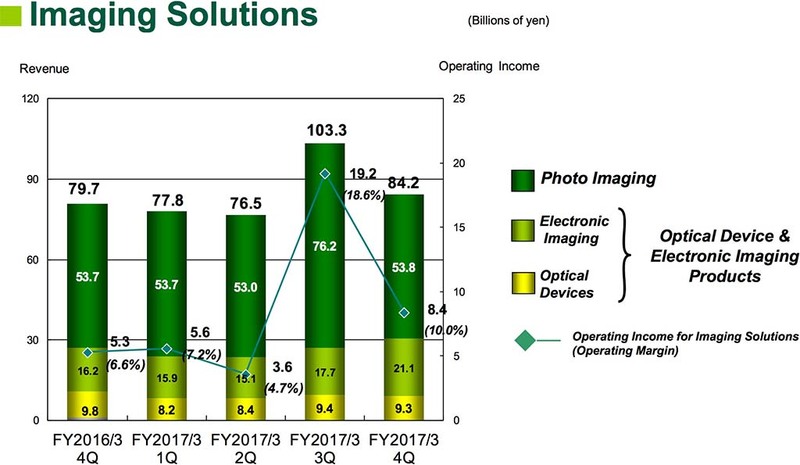 The business of electronic imaging achieved a sales growth due to positive sales of the X Series of mirrorless digital cameras such as FUJIFILM X-T2 and FUJIFILM X-T20 as well as their interchangeable lenses, and strong sales of the FUJIFILM GFX 50S, a medium-format mirrorless digital camera equipped with a large sized sensor, released in February. The business of optical devices suffered a decline in sales as a result of sales contraction in smartphone camera modules. Its product lineup is being transformed with greater focus on value-added products. Fujifilm released three documents today clarifying some accounting irregularities FY ended March 2017. “According to that report, it has been revealed in the investigation by the Independent Investigation Committee that, in addition to Fuji Xerox New Zealand Limited (“FXNZ”), an overseas sales subsidiary of Fuji Xerox Co., Ltd. which is a consolidated subsidiary of FUJIFILM Holdings, Fuji Xerox Australia Pty. Limited, an Australian sales subsidiary of Fuji Xerox, also conducted inappropriate accounting similar to that conducted by FXNZ. “Although sales in areas such as electronic imaging field of the optical device and electronic imaging business have increased, our sales and operating income has decreased due to a decrease in sales in the healthcare business and the document business. At the same time, as a result of the review of the cross-shareholding, a gain on sales of investment securities has been recorded in non-operating income and expenses so there have been increases in income before income taxes, net income attributable to FUJIFILM Holdings, and net income attributable to FUJIFILM Holdings per share, which has resulted in a record high in the net income attributable to FUJIFILM Holdings. 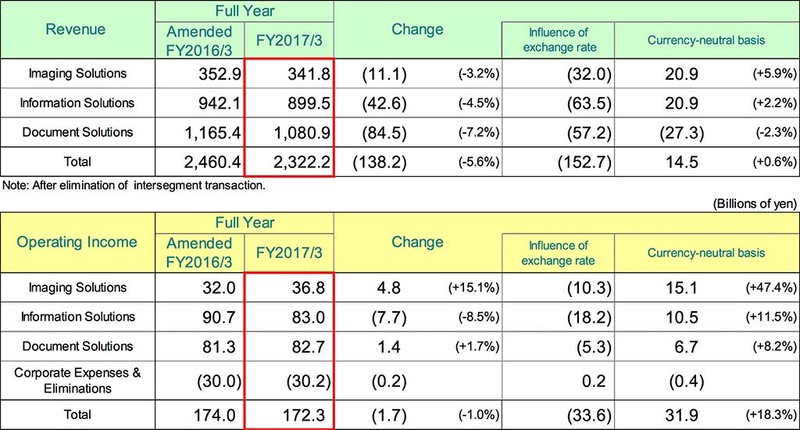 Further, the impact on the amount in the consolidated earnings for the fiscal year ended March 2017 relating to the accounting problem at overseas sales subsidiaries of Fuji Xerox Co., Ltd., which has been separately announced today in the announcement of “Notice of Impact of Inappropriate Accounting regarding our Consolidated Subsidiaries”, is minor. Fujifilm also released the Notice of Receipt of the Independent Investigation Committee’s Investigation Report and Future Measures, which details a number of demotions, retirements, and measures to prevent this from occurring again. The Full report isn’t available in English yet. This entry was posted in Uncategorized and tagged Fuji Rumors, Fujifilm, Fujifilm Rumors, FujifilmRumors, Fujirumors. Bookmark the permalink. Trackbacks are closed, but you can post a comment.